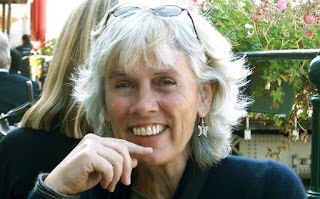 We are pleased to have our Sunberry author Valerie Poore, author of the adventurous children's The Skipper's Child on the blog today with her guest post about the educational value of her book. Arie Kornet hates school holidays on his family’s barge, RIVAL, which is home to Arie, his two sisters, his father, and his deaf mother. But because his father is a commercial skipper, all they do is travel from one place to another on the Dutch and European waterways. Arie is intensely frustrated with it all. It seems there is nothing for him to do, and no escape. That is, until an unexpected brush with Russian secret agents, international plots, and a startling stow-away bring him far more excitement than his dreams had ever bargained for! Suddenly his own life, and those of his entire beloved family, could be in danger. Arie has difficult choices to make, and even more difficult actions to take. 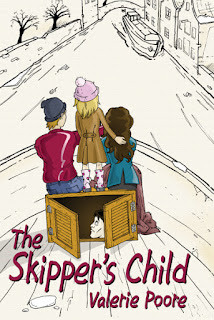 In the recent months since the Skipper's Child, my first venture into fiction, was published by Sunpenny Publishing, I've spent some moments wondering about whether I had any intention of making it educational when I wrote it. The answer is, actually, well...no. Still, judging by the response I've had recently, and to the reviews my author friend, Anne Marie, and another reader have written, it seems to come across as having some kind of educational value. When I first read the reviews, I was surprised, and now, I am even rather pleased. Even though I never set out to make it so. As many of my friends and blogger pals will know already, the story just sort of emerged out of my fascination with my partner Koos's childhood. He was the example on whom the adventures of Arie were built, and the Kornet family are, in a sense, Koos's father, mother and two sisters. The story itself is pure fiction, the product of what my mother used to call my over active imagination, but the setting in the early 1960's, the barge life, the route the family take from Zelzate in Belgium through to Lille in France, these are all real. Did I do any research? Absolutely. I spent quite some time reading about what was happening in the news at the time. I also researched the building of the Gent 'ringvaart', the canal that was being built around Gent to stop all the shipping congestion I describe in the city centre. Koos and I walked the route the Kornets took through the city, so I knew what was there, then and now. And of course, all this time, Koos was filling me in with anecdotes and snippets about what life was really like for a child on a commercial barge - boring, routine, cold in winter, hot in summer, and nowhere, just nowhere for a child to run and play. His mother's deafness was real too, as was the loss of not one, but two siblings to drowning before Koos was born. This was a common occurrence among skippers' families. Children had a tough time in many respects, as only the very brightest stayed at school longer than was necessary - all hands were needed on deck, and if there were too many children - well, it was quite accepted for skippers to offer a spare child to other short-handed skippers, pass them over mid-stream, wave goodbye and sail on. A solution they simply regarded as being practical, not abusive. So, yes, in hindsight, the Skipper's Child might be said to be educational. It is based on a very real lifestyle that has everything to do with being Dutch. It's even true to say that practically everyone you speak to in the Netherlands has some connection with the skipper's world somewhere in their family - so you could call it historically relevant too. For myself, I wrote it because I loved the stories and wanted some way of recording them, but while I wrote it, I got caught up in Arie's world myself. It was a tale I had so much fun writing that I hope that's what really comes through when people read it. And if it has some value in the classroom or library, well I'm very happy about that too. For now, though, I am busy dreaming up his next adventure. The activity in my imagination has never stopped. I just need more time to write it all down! 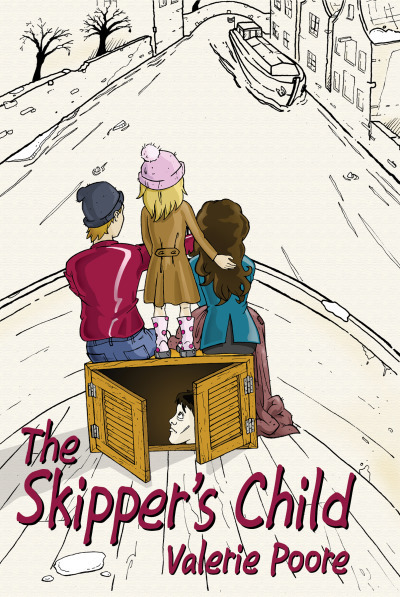 Thank you Valerie for sharing about the educational value readers have been discovering in The Skipper's Child and the background to it! The reviews that were mentioned can be found on the Amazon UK page for the book as linked below. Valerie Poore was born in London, England, in 1955 and grew up in both north of London and the west of Dorset. After completing her degree in English, History and French at Bournemouth in 1976, she took a further course in the conservation and restoration of museum artifacts at Lincoln College of Art, following which she worked for a furniture restoration company until the birth of her first daughter in 1979. She now lives on a barge in Rotterdam. Please feel free to contact her with any questions through her new Facebook and Twitter accounts.